The level starts with 30 points and when your score reaches zero, it’s game over. As you can see, playing as fast as possible with minimum mistakes is the key to the best score! Our vision is that the final game will contain a handful of such levels, some longer, some short (puzzle game / unlock scenario). You will be able to compare your performance with the others (global Top 10 list). We are thinking of tools that enable you to create & share own levels, so you will be able to model your home city railways if you want. These levels will be only one game mode, but the primary game play will be something completely else. 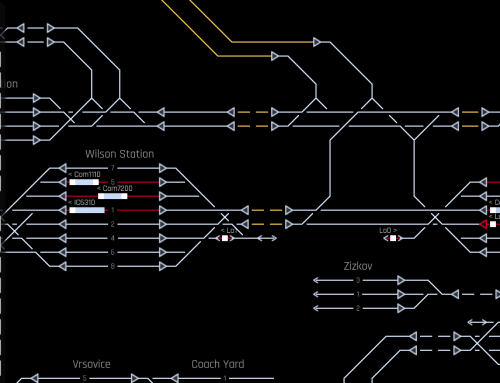 Something like career mode where you take care of rail network that you will need to built, upgrade, manage and so on. We will write about it soon! Extract the downloaded file where you want. Tell us what is your best score. We managed to reach 27 (full speed, no mistake)! How do you like the game? Please share you thoughts! Any feedback is welcome. For Now, I only reached 19, in half speed. But I’ll try to improve this. Also, your game looks very promising, I like the minimalistic, black & white design.